Attorney Peter F. Ferracuti was listed in several editions of the national publication, "Best Lawyers in America", being 1 of only 18 civil litigation attorneys similarly recognized from the State of Illinois in that publication. 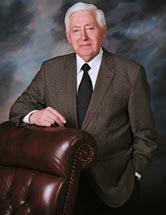 Attorney Peter F. Ferracuti had extensive experience in the labor law field, representing several unions. The major clientele of his firm are working people, with the firm essentially representing individuals rather than corporations or insurance companies. He was an active member of the American Association for Justice, Illinois Trial Lawyers Association and the Workers' Compensation Lawyers of America. Attorney Peter F. Ferracuti graduated in the upper 3% of his class from the University of Illinois, School of Liberal Arts and Sciences, with a double major in Political Science and Psychology. Thereafter, he received his law degree from the University of Illinois Law School. Immediately thereafter, he was licensed to practice in the State of Illinois. Attorney Peter F. Ferraucti was a life member of the Multi-Million Dollar Advocates Forum. This honor is limited to Attorneys who have won multi-million dollar verdicts, awards and settlements. Fewer than 1% of U.S. lawyers are members. Attorney Peter F. Ferracuti is survived by his wife, Janis Ferracuti, and his three children.